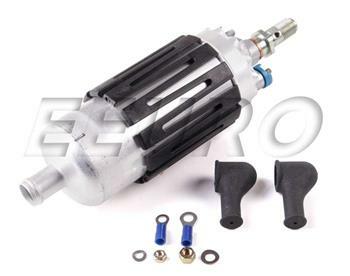 The fuel pump supplies fuel pressure to the injection system and is an essential component in almost all automotive applications. In modern applications this pump is usually electric and expected to deliver fuel at high pressure to meet the performance and emissions demands of todays motors. The fuel pump is normally located inside the fuel tank and be accessed in some cases from above without lowering or removing the tank. Loss of power under load and no start situations are all possible indications of a malfunctioning fuel pump, especially if the vehicle has 100,000 miles or more and is operating on the original fuel pump. It is recommended that the fuel strainer where applicable be replaced at the same time. It is also recommended that the car's main fuel filter be replaced at regular service intervals of roughly 30-50k miles. eEuroparts.com® carries an extensive catalog of aftermarket, OEM, original, and genuine parts from over 200 manufacturers. We are also constantly updating our Bosch parts selection to give you the best possible selection of parts. The Robert Bosch company is one of the oldest automotive parts manufacturers in the world. Bosch created the original generator for Mercedes Benz and worked for Mercedes prior to be allowed to enter into a contract with Mercedes to provide generators. For almost 150 years the Bosch name and reputation for quality has been unsurpassed in the automotive aftermarket. Currently the largest automotive parts company in the world, Bosch is an OEM for most European and many domestic and Asian vehicle manufacturers. They specialize in engine management, starters, alternators, spark plugs, oxygen sensors, and fuel delivery and injection. Along with those OEM and OES products they also have complete aftermarket programs in automotive filtration, brakes, HVAC management, along with a multitude of other programs. If this is not the exact Fuel Pump you are looking for, or you would like this part in a brand other than Bosch, please contact us and one of our customer service experts will help you locate the exact part you need. eEuroparts.com® proudly offers wholesale prices and fast shipping available on most orders. 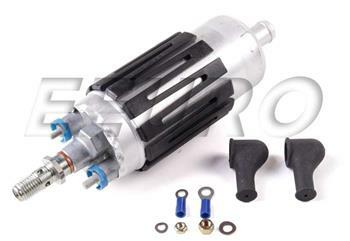 We also provide inexpensive and guaranteed 3 day, 2 day, and Overnight shipping options, so if you need your Fuel Pump tomorrow, eEuroparts.com® can deliver! Every eEuroparts.com® order is track-able, meaning you'll know exactly where your Fuel Pump is at every step of the shipping process. eEuroparts.com® also displays your Expected Ship Date and transit time in your Cart, making our entire shipping process simple and transparent.